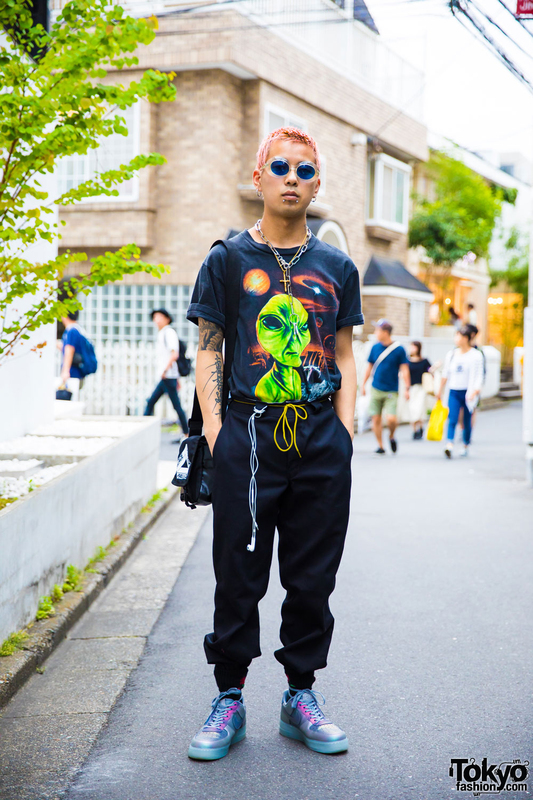 Harajuku guy with a pink shaved hairstyle wearing a purple blazer over turtleneck sweater, black pants, metallic high top sneakers, drawstring bag, silver hoop earrings and a knuckle ring. 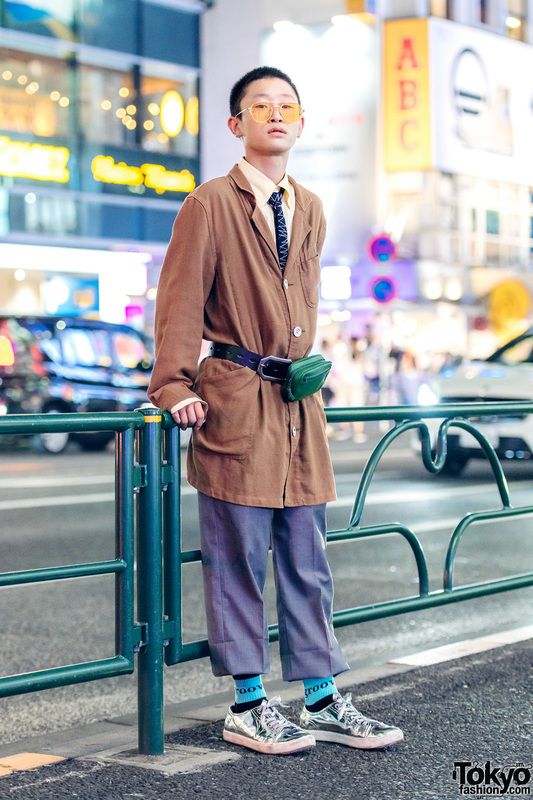 Harajuku teen sporting a retro men’s fashion style with brown coat, yellow shirt, necktie, pleated pants, belt bag and metallic sneakers. 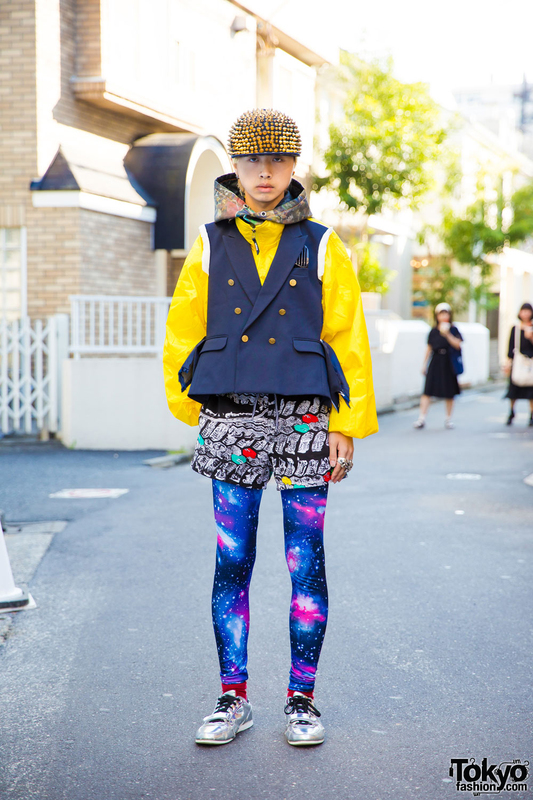 Harajuku guy in resale/remake avant-garde fashion with vest over hoodie jacket, graphic shorts over digital print tights, red socks, metallic sneakers, gold spiked cap and silver rings. 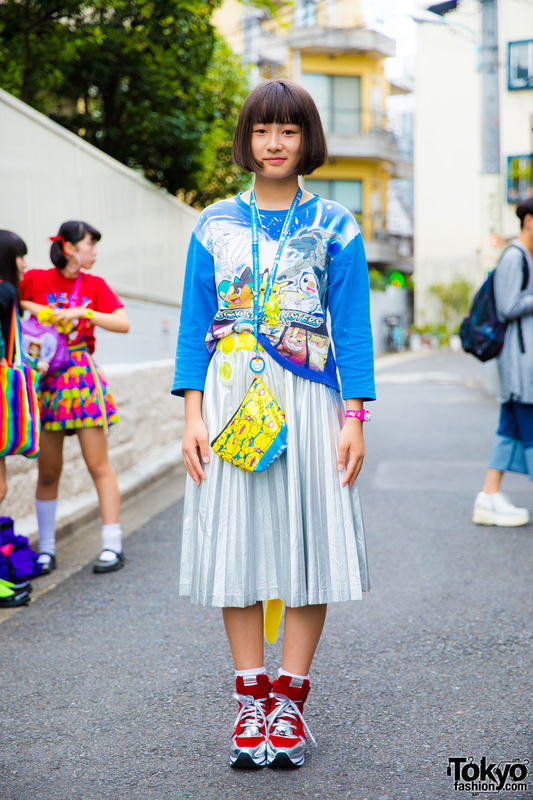 Harajuku student in colorful kawaii all over print fashion with layered tops, long ruffle skirt, metallic sneakers, and kawaii accessories. 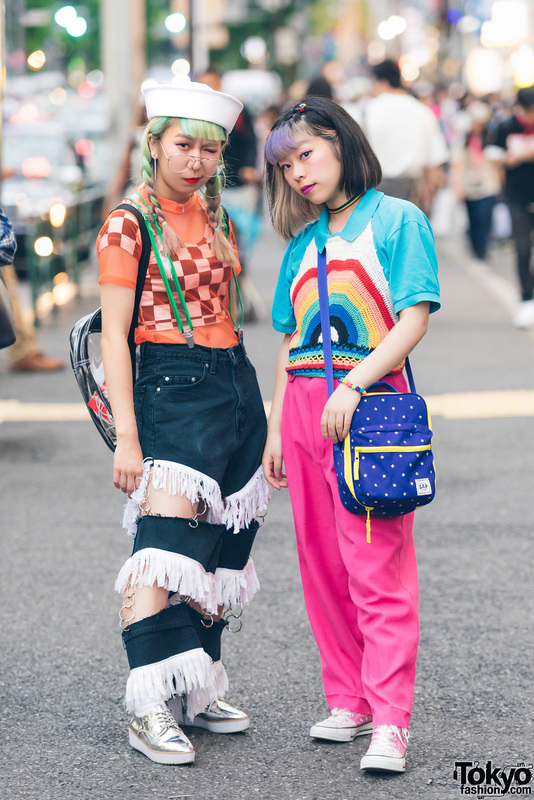 Harajuku shop staff in black street fashion w/ alien t-shirt, black pants, metallic shoes, sling bag, and accessories.